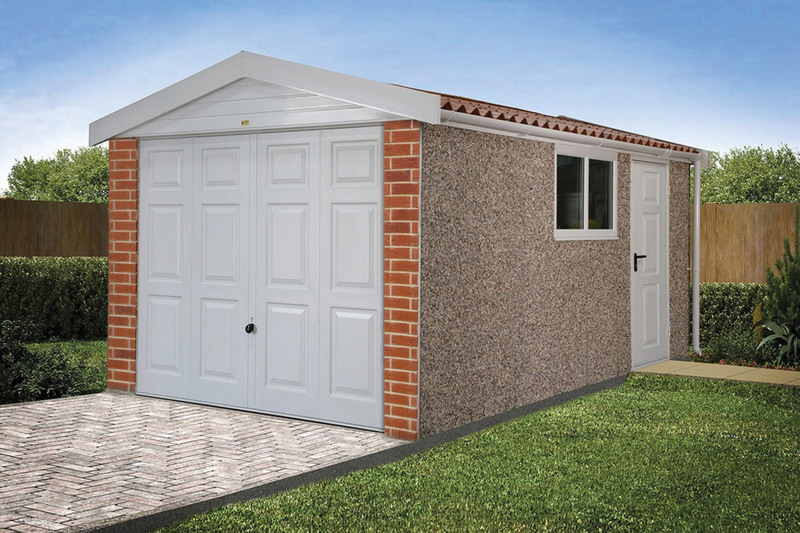 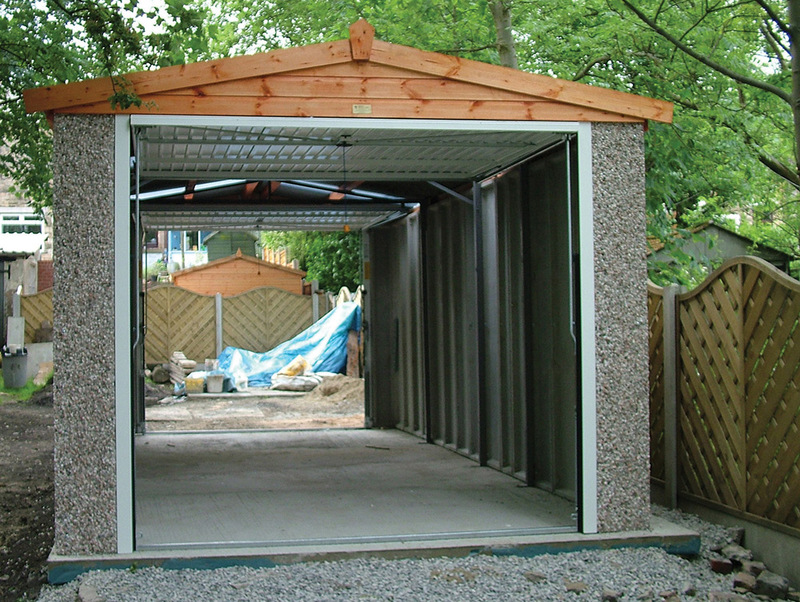 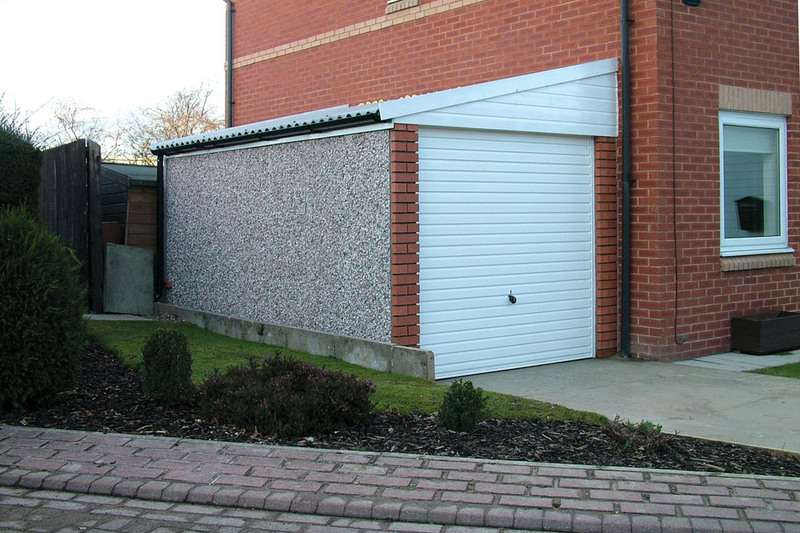 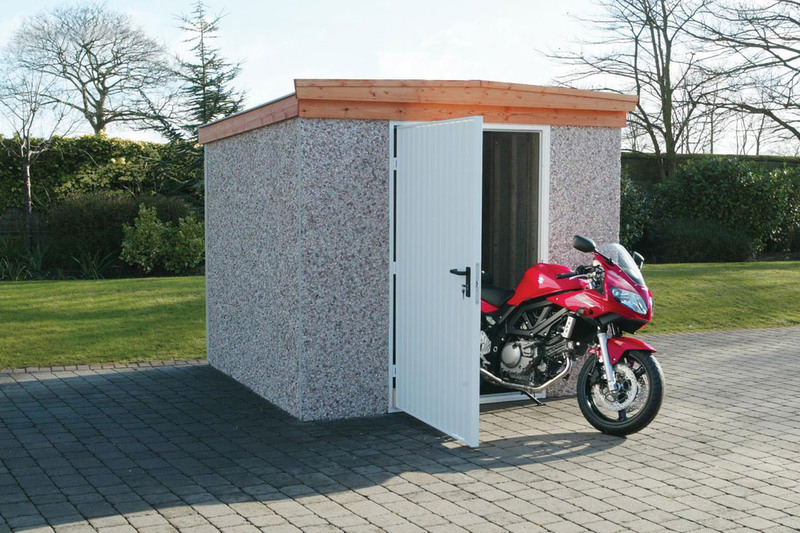 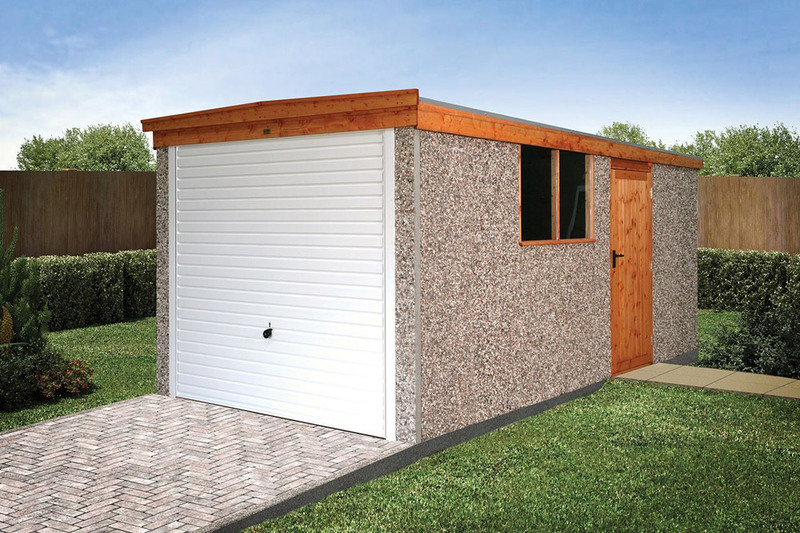 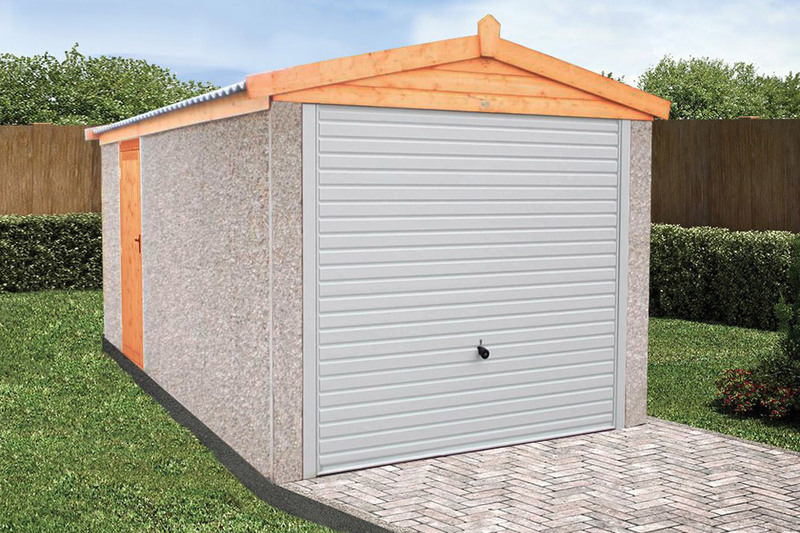 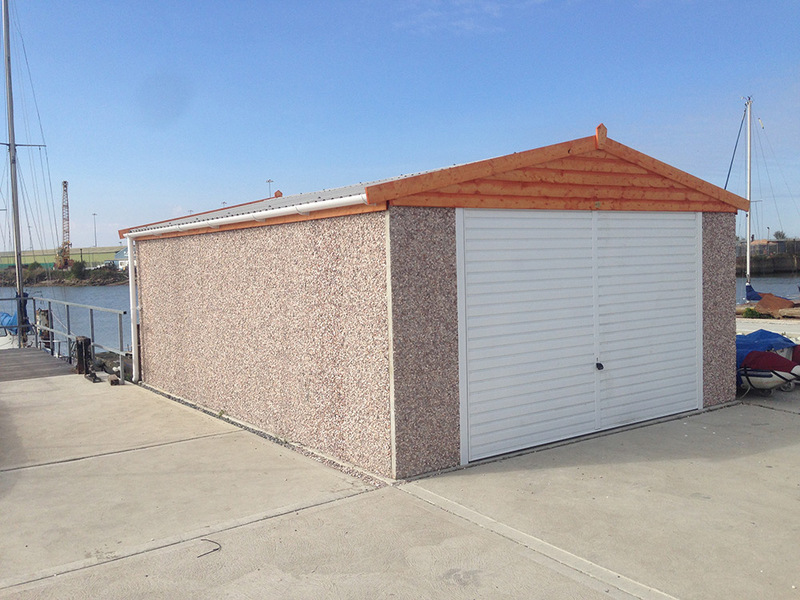 The LidgetCompton Apex brick garage range has perhaps the most flexible option range in the market today. 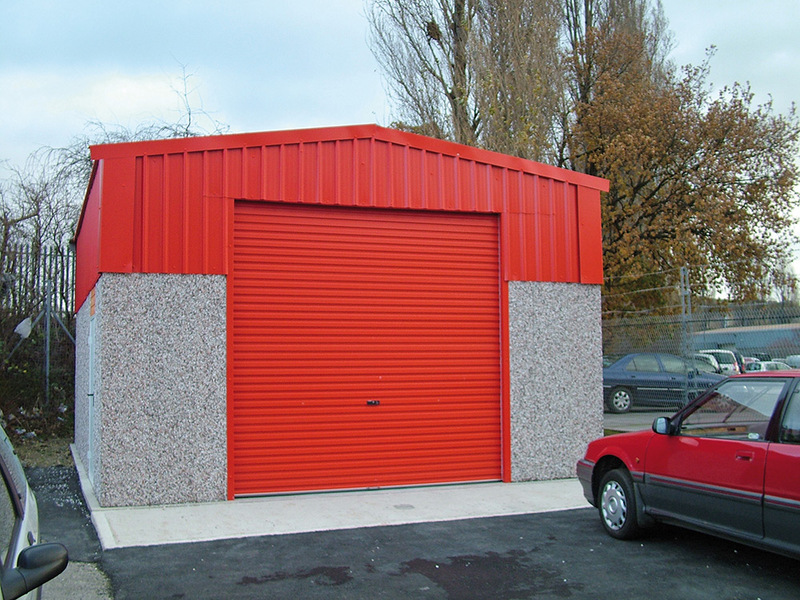 Supplied as standard on our buildings, Spar finish is designed to blend with virtually all styles of hosing. 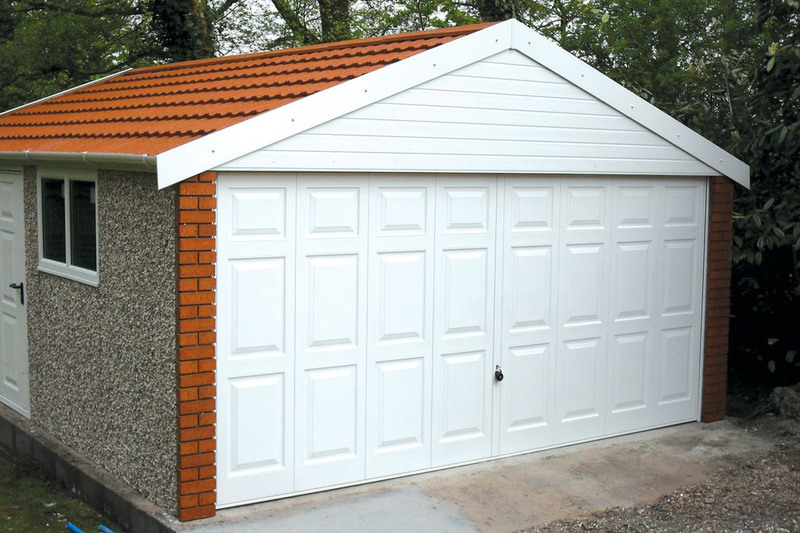 The Apex range is supplied with timber fascia’s and window as standard, but you can enhance your building with our range of PVCu doors, windows and fascia’s. 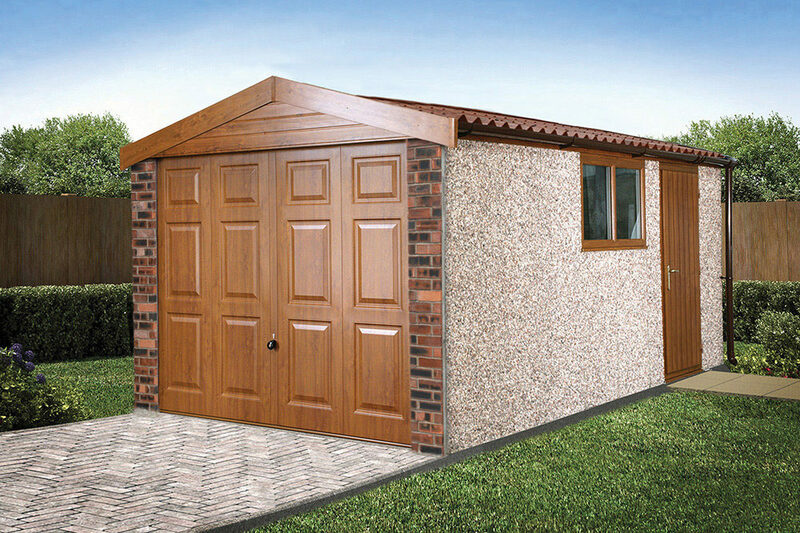 Choose from white PVCu or upgrade further to our decograin effect in Golden Oak and Rosewood. 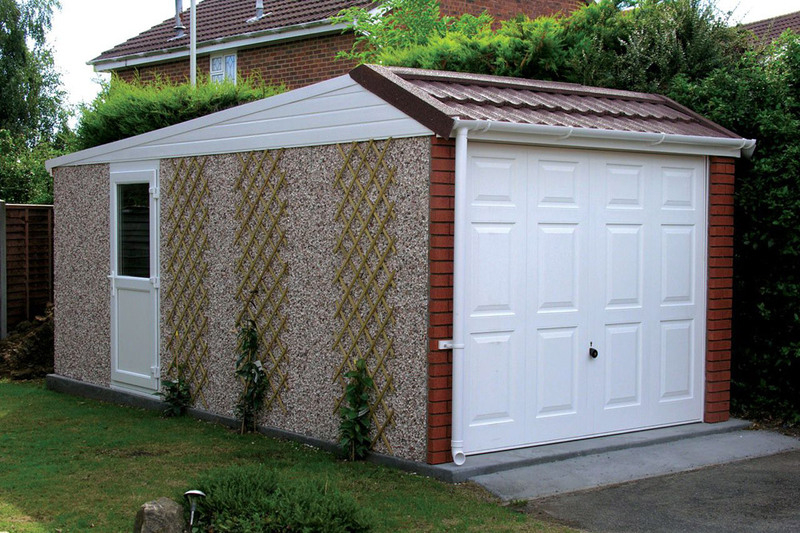 Choose from 4 attractive Real Brick front post styles to really enhance the look of your building.